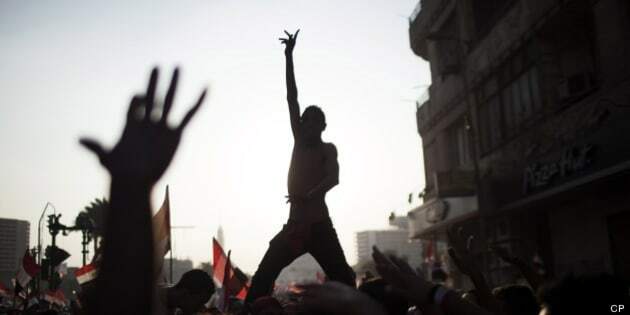 An Egyptian crowd of millions in Tahrir Square celebrated the army's ouster of President Mohamed Morsi on Wednesday. The army's decision to remove Morsi and declare early elections prompted fireworks and cheers on the ground all over Egypt, and plenty of reactions from the world online. Canadians took to Twitter — like a defiant Morsi did before his removal — to express opinions on the ouster, with many drawing comparisons between Morsi and Prime Minister Stephen Harper. Check out the reactions in the slideshow below, and leave us your thoughts in the comments below.